" Only in silence the word, only in dark the light, only in dying life: bright the hawk's flight on the empty sky "
(Feb. 2019) 5 CVPR 2019 papers accepted. Congrats to the team! (Nov. 2018) We've started a regular Machine Learning Training and Tutorial program. (Nov. 2018) Congrats to Qingsen etal on the WACV19 paper Multi-scale Dense Network for Deep High Dynamic Range Imaging. 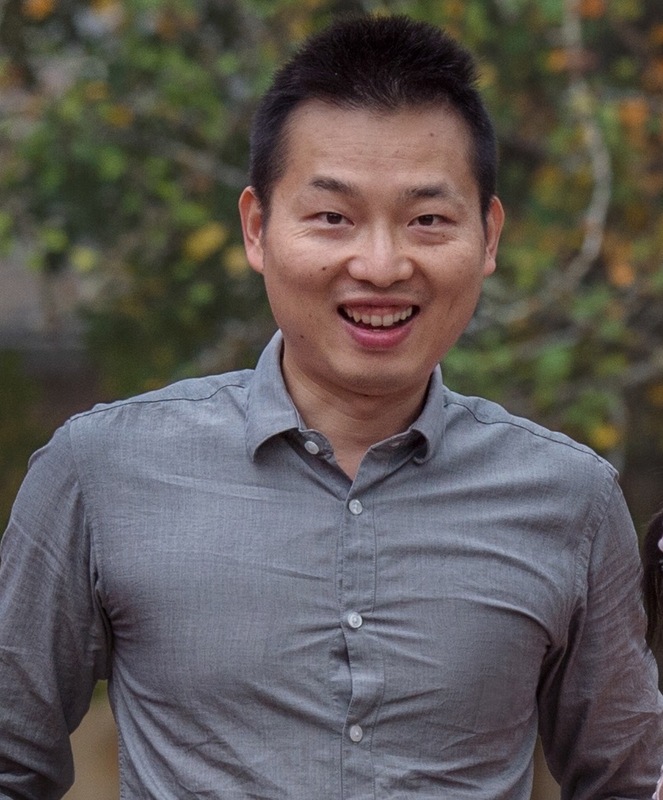 (Nov. 2018) Congrats to Yao etal on the PR paper Efficient dense labelling of human activity sequences from wearables using fully convolutional networks. (Nov. 2018) Congrats to Zhang etal on the IJCV paper Cluster Sparsity Field: An Internal Hyperspectral Imagery Prior for Reconstruction. (Nov. 2018) How to turn a two-step adaptive MRF to one-step? Check Suwichaya etal's Signal Processing paper. (Nov. 2018) Congrats to Yan etal on the TKDE paper Fast and Low Memory Cost Matrix Factorization. (Oct. 2018) Congrats to Suwichaya etal on the TIP paper An Adaptive Markov Random Field for Structured Compressive Sensing. (Oct. 2018) Congrats to Dong etal on the TIP paper MPTV: Matching Pursuit Based Total Variation Minimization for Image Deconvolution. (Oct. 2018) Want a deep neural net to learn and predict orderless labels/outputs? Checkout our Deep Perm-Set paper v.2 here. (Oct. 2018) Congrats to Ali etal on the MobiQuitous18 paper Deep Auto-Set: A Deep Auto-Encoder-Set Network for Activity Recognition Using Wearables. (July 2018) Congrats to Jie etal on the ECCV18 paper Seeing Deeply and Bidirectionally: A Deep Learning Approach for Single Image Reflection Removal. (July 2018) Congrats to Yuhang etal on the ECCV18 paper Deblurring Natural Image Using Super-Gaussian Fields. (July 2018) Congrats to Ehsan etal on the BMVC18 paper Active Learning from Noisy Tagged Images. (Nov. 2017) Want a deep neural net to predict SETs (instead of vectors/matrices/tensors)? Checkout our AAAI18 deep set paper here. (July 2017) Congrats to Dong, Mingkui, Yanning, Anton for our ICCV17 deblur paper. (July 2017) Check out our tutorial on graphical models on SoCG17 with Chao Chen. (April 2017) 1 paper accepted to IJCAI17 on higher order inference for graph matching. Congrats to Zhen, Julian, Yong, Wei and Yanning. I am leading a machine learning team developing efficient algorithms and systems that can evolve and learn from massive amounts of data in almost any domain, and be capable of reasoning and decision making with super-human performance. Our systems are very effective at modelling complex relationships between variables. These might be the relationships between symptoms and diseases, or the relationships between a set of sensor inputs and the state of the system being modelled, or the relationships between cellular metabolic reactions and the genes that encode them, or the relationships between users in a social network about whom we wish to draw inferences. developing algorithms and systems for applications ranging from computer vision, social networks, healthcare, smart agriculture, smart manufacturing (Industry 4.0), automated trades etc. Yes, we do consulting too. I am leading the PGM group at the School of Computer Science, The University of Adelaide. I am also with the Australian Institute for Machine Learning (formly The Australian Centre for Visual Technologies). I was an ARC Discovery Early Career Researcher Award (DECRA) Fellow between 2012-2014 (awarded in 2011). I received a PhD in computer science in 2011 at The Australian National University (ANU) in Machine Learning. At ANU, I was under the supervision of Alex J. Smola (primary advisor, Now in CMU, Marianas Labs and Amazon), Jack Yu (Now in Bocom), S. V. N. Vishwanathan (Now in UCSC), Li Cheng (Now in A-Star), Tiberio Caetano (principle advisor, ANU and NICTA), Richard Hartley (Panel, ANU and NICTA). Before that, I completed Bachelor and Master study in computer science and Technology in 2003 and 2006 at The Northwestern Polytechnical University (NPU) under the supervision of Yanning Zhang.